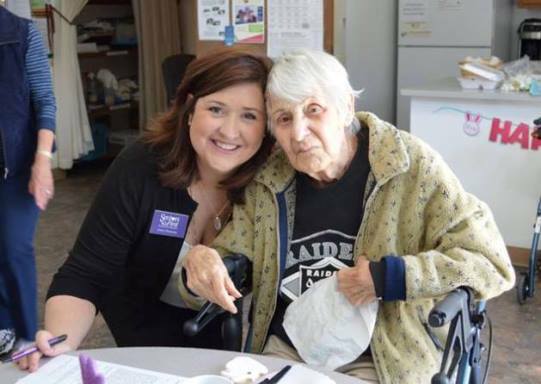 Your donation makes a difference in the lives of Placer County Seniors, not only by helping them stay independent but by helping them feel safe and cared for. "Your service is great and so needed, all of you do so much for the elderly and disabled. Thank you so much. We're so lucky to have you." : Would you like to receive our monthly newsletter? Donate 100% - Add 3% so that 100% of the donation goes to Seniors First. Seniors First has partnered with Network for Good to securely process your online credit card payment via Network for Good (tax ID 68-0480736). This transaction will appear on your credit card statement as "Network for Good." This transaction is subject to Network for Good’s Privacy, Security & Disclosure Statement and the Charitable Solicitation Disclosure.